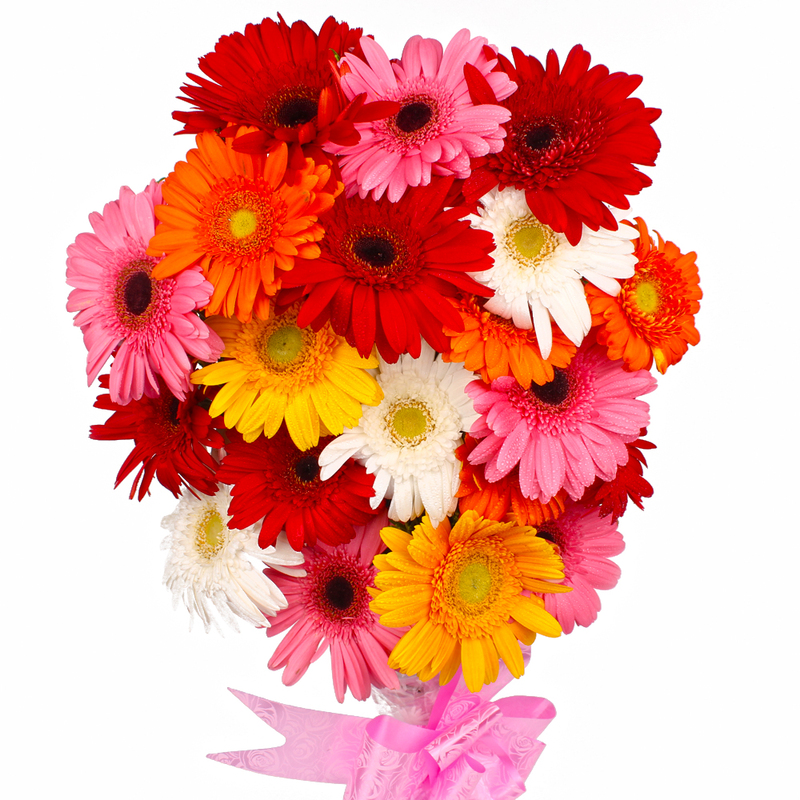 Product Consist : 18 Mix Color Gerberas with Green Fillers in tissue paper packing. 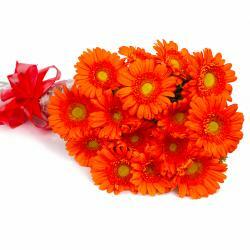 If your beloved loves Colorful Gerberas, then this bouquet will definitely delight her. 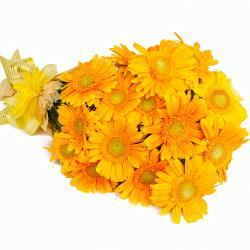 Comprising of eighteen stem of colorful gerberas, they are freshly bloomed and look sublime and beautiful. 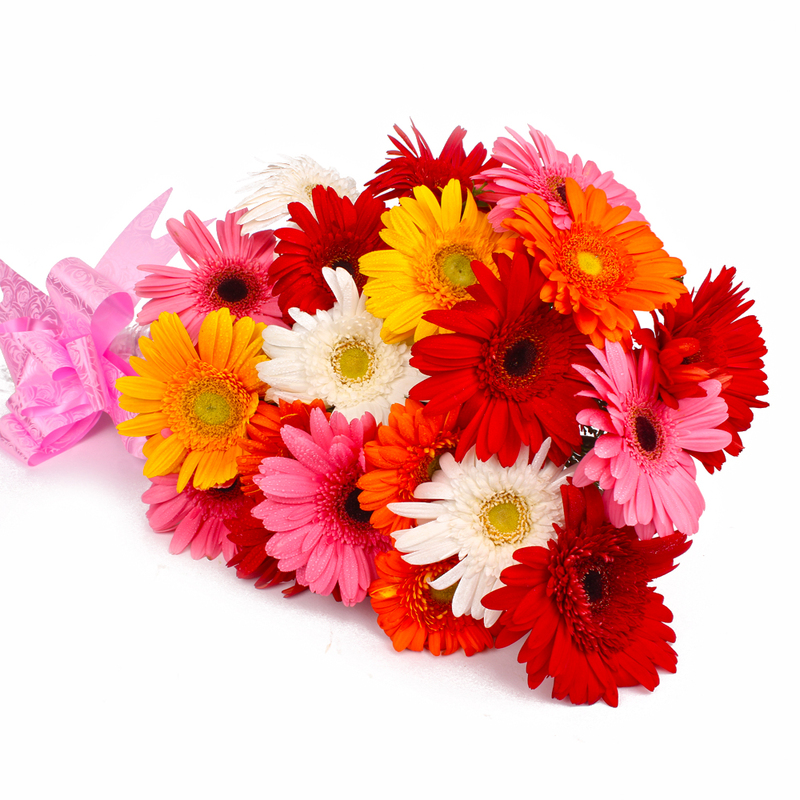 The flowers have been neatly placed in a cellophane packing so that its arranged is retained. 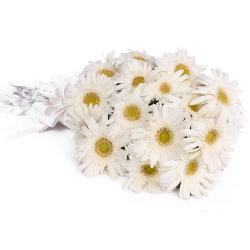 Apart from using it to express your love, you can also gift it on celebratory occasions like graduation parties, engagement ceremonies, birthdays, weddings, anniversaries, hens parties and weddings. 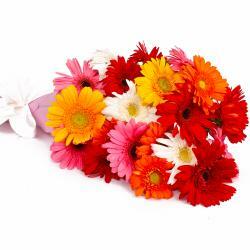 Product contains : Eighteen Mix Color Gerberas with Green Fillers in tissue paper.